Due to the extensive amount of information regarding web accessibility developed in recent years, developers find difficulties for creating accessible web applications. Accessibility knowledge management tools can facilitate this task. However, existing tools do not provide enough support to all the activities of the development process. In this sense, developers have to use diverse tools focused on different stages and they are also required to search for accessibility information from different sources. 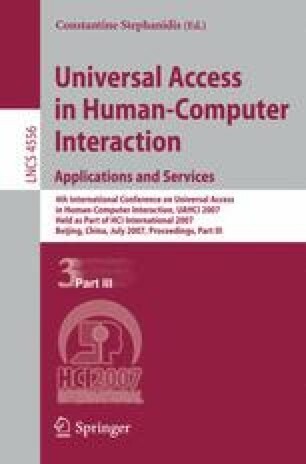 The aim of this paper is to present a framework for managing accessibility guidelines. It serves as a central repository where developers can search for accessibility guidelines, define new guidelines, and share them with other developers and evaluating them automatically. Therefore, this framework facilitates developers’ tasks as it gives support to several activities of different stages throughout the development process.